Posted in New Clocks, Wall Clocks. The impetus for this new offering is for a clock designed for that narrow space above a kitchen window or doorway. 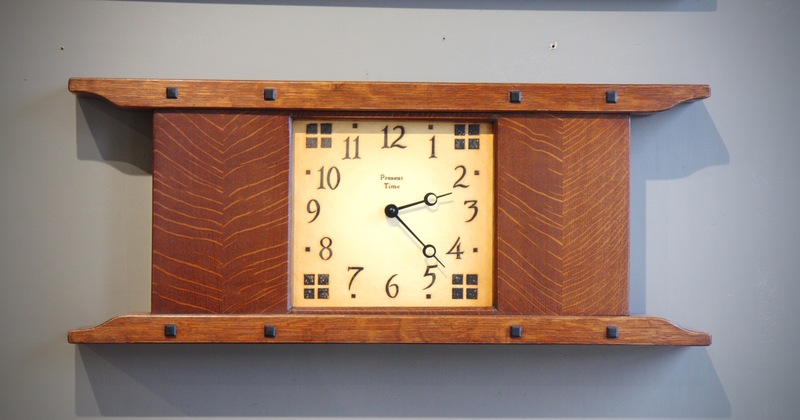 This clock features matched oak panels that wrap around the mitered corners. The side panels could also be made to hold ceramic tile, stained glass or any other custom elements you may have in mind. 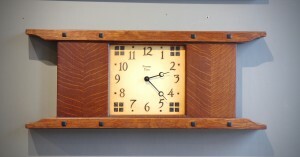 This clock would also look great with an etched copper face. As shown in Oak, $400. Copper face would be $500.